This interview was conducted via email by Interview Editor Erin Regan. 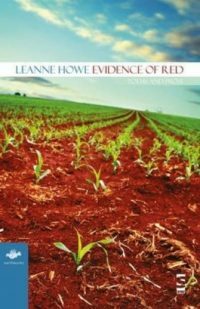 Of the process she said, “I first came across LeAnne Howe’s book of poetry Evidence of Red and fell in love with her wit and playfulness with literary conventions. 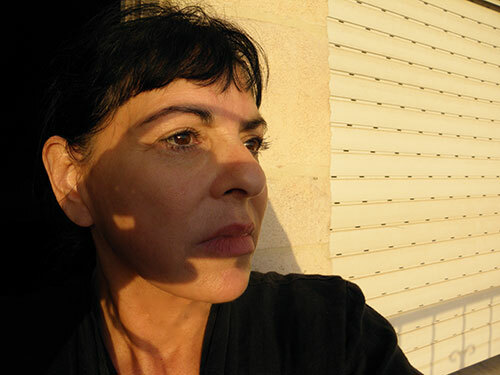 Her spirit is surely reflected here.” In this interview, she discusses her use of humor, the freedom of other creative forms, and the metaphysical power of language. Superstition Review: You often use humor in your writing. What is your approach to incorporating humor in stories about the disenfranchisement and abuse of Native Americans? LeAnne Howe: Humor defuses pain. Humor gives the narrators in my stories agency to tilt at the ever-whirling windmills of colonization. Humor opens a window on historic pain and trauma that American Indians dealt with at the hands of the federal government. Loss of land, loss of dignity, loss of identity, and of course the loss of a brother or sister, parent—which in my great grandmother’s era was a common event. So as I think back to my early childhood, I can say that I was raised around a bunch of jokers. All Indians, and they were always pointing out little ironies. My humor these days tends toward irony, but often falls flat in the classroom. My students are not familiar with irony, or thinking about the historic past as having anything to do with them. SR: In Miko Kings, the principal of the Hampton Normal School for Blacks and Indians tells Hope Little Leader, “by cultivating you wild Indians…we tame the land.” In what ways is the subjugation of American Indians tied to the exploitation of land? LH: I believe American Indians are seen as the floral and fauna, another reason that the Bureau of Indian Affairs is located squarely within the Department of the Interior and maintained by the Secretary of the Interior. What would people say if there were such a thing as the Bureau of African American Affairs and it was located within the Department of the Interior? The Department of the Interior has oversight over land management, fish and game, wildlife, and American Indians. So in that way, taming Indians is like taming the land, the reason that I wrote that section in Miko Kings. SR: Evidence of Red features poetry, prose, and dramatic script. How did you decide to use all of these forms in one collection? LH: I’m not exactly sure how it happened. When I was writing the poems, I was thinking about the book as a whole piece of cloth and realized that it would be more colorful with different genres included. I’m extremely lucky that the editor of the Earthworks series, Janet McAdams, allowed me to do this. Currently, I’m working on a new collection of poems, and right now it’s all poetry. Perhaps, a better answer to this genre-switching thing that I often do (Choctalking’s format is a bit funky, too) is that I have a short attention span. I’ll be writing along and think, “hum, maybe this isn’t a poem, perhaps it’s a screenplay.” Lately, I’m writing song lyrics that I originally thought were poems. I suspect I’m going to find out that my song lyrics stink and go back to writing lyrical poems. SR: In Evidence of Red, you use the motifs of Indian Mascot and Noble Savage to challenge the character tropes of American Indians in the media. How has popular culture contributed to the suppression of realistic American Indian narratives? What is your approach to writing more realistic representations? So, we’re back to the Indian humor. In the case of Indian Radio Days it diffuses pain of stereotypes. SR: According to your biography in Shell Shaker, you have worked as a waitress, a factory worker making stems for plastic champagne glasses, and a journalist. How have your previous jobs influenced your work as a writer? Do you feel like writers with more varied experiences have a richer palette? LH: Working in all kinds of situations helps a writer make sense of the world. At least it did for me. But fewer and fewer writers haven’t worked outside of a university or college environment. Of course there are the writers who’ve attended law schools. That makes sense because law school teaches how to manipulate language. But I’m not sure whether doing a lot of different kinds of work is a good thing or not. We have quite a few young writers who’ve gone from being undergraduates, to an MFA program, and now are publishing their four and fifth novels. So, who can say? I worked in all kinds of professions and crappy jobs. But that doesn’t mean everyone else should. SR: You are also a filmmaker and playwright. What do you most enjoy about performance arts? In what ways do those mediums enhance a written text? LH: I like performing in a theater troope, in the classroom, or during a reading. For years I was so shy and then whamo, I came out of the performance closet and met a new self onstage. I do think that reading aloud, or performing one’s own work is very helpful to the writing process. You can hear the voices you are creating, see the scenes you’ve created, and where the text falters. SR: Will you describe what it means to perform in the classroom? Do you encourage your students to perform? LH: I think most really good teachers, or professors, prepare for their classes as any writer/performer does. You write and then learn your lines, you draw your students into the performance or lecture just as any performer does, and you write a conclusion to the day’s performance or lesson just as any performer does. Yes, I have my student’s “perform” in class in a variety of ways. Sometimes I ask them to collaborate and put their lessons into a play format. Or recently I asked my students to make a short film and then talk about it. They wrote actions scenes that reinforced the class discussions. Learning is supposed to be fun, (or funny) dramatic, and full of irony. A performance. SR: You use the voice of Ezol Day to experiment with time in the novel Miko Kings. Her spirit travels from 1907 to tell Lena, the modern-day narrator, the Miko Kings’ story. What freedoms did you find when you began to play with time? LH: I think the way I come at a story has always been from thinking about the past, (American Indian history, my family’s history, my tribe’s history) and how the present and future are shaped by the past. Put another way, I am certain that we humans live in past, present, and future all at the same time. It’s probably the reason I am attracted to quantum physics, which I read a great many physicists as I was writing Miko Kings: An Indian Baseball Story. SR: That’s fascinating. Would you expand on your research process for Miko Kings? 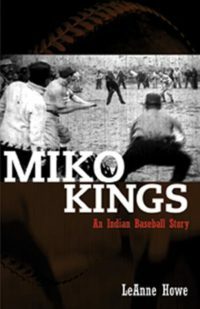 LH: I spent five years researching and writing Miko Kings: An Indian Baseball Story. I was lucky and found an Oklahoma baseball historian named Crash Parr, a Cherokee from Tulsa Oklahoma. He was so helpful to me in my process, and gave me copies of newspaper clippings that he had from the 1900s through about 1926, something like that. So I read those newspaper clippings, and other newspapers. I also conducted fieldwork, interviewing Choctaws and other southeastern Indian ball players at the 11 tribal tournaments that take place each summer in Oklahoma. I read a lot of chaos theory. The book’s subtext is chaos and how Natives interact with the chaos through playing ball games. SR: Ezol uses the Choctaw language to explain the fluidity of time in Miko Kings: “The laws of physics do not distinguish between past and present. Neither does the Choctaw language, at least not in the way that English does.” Would you explain how you use language to manipulate time in your fiction? LH: Choctaw doesn’t distinguish between past, present, and future tenses, not in the same way English does. So I theorized that was another reason we viewed time differently from English speakers. SR: Does writing primarily in English limit you? SR: The color red plays a central role in several of your works—it represents the earth, war, and blood sacrifice. How do you incorporate symbols, such as color, in your writing? LH: Oklahoma is a Choctaw word, it means home of the Red people. Okla = people, homa, or humma = red. Our tribe was broken into two divisions, white and red, these are metaphors, of course, but at the same time red and white represent our tribal colors today. It is also very easy to think about one’s life in terms of red and white. White being a color all humans move into as we age. White is for peace and tranquility. Red is a passionate color and early in our lives most of us live a passionate life. And for women, red holds a particularly strong image in our lives. SR: Your novel Shell Shaker does not rely on a single protagonist’s voice but instead is told through many characters. What inspired you to include so many narrators in the story, and how does that technique reinforce the theme of community in the novel? LH: As I have said before, I grew up in a house of women, and in my family, there were many speakers all telling the same story from different points of view. I don’t think I would be very good at writing a story from one POV. It just doesn’t feel right for me—as a writer. In all my novels there are multiple points of view from a variety of characters. Many characters in different settings tell the story in my current novel project. The novel takes place in Allen, Oklahoma and Bilaad ash Sham in 1917 and today, 2011. However in the memoir, Choctalking on Other Realities, the POV is mine. SR: Your works are populated by such powerful women. 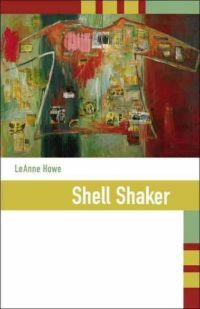 As I was reading Shell Shaker, I started hearing the Billy women’s voices during other parts of my day. What is your process for developing these characters? Do their voices come to you first? LH: Yes. I often hear them, just a word or two at first, but I’m compelled by their voice. Then I go to work on who they are, what they look like, and build outward. In terms of Grandmother of Birds, an ancient relative in Shell Shaker, I saw an image of her—in of all places, a fashion magazine. The picture didn’t have anything to do with Choctaws, or American Indians, but for some reason her character began to cook after I saw the image. SR: In your newest collection, Choctalking on Other Realities, you frame your stories with theoretical essays that you have termed “tribalography.” Please describe your goal with these essays and how you came to identify them as tribalography. LH: In the memoir, Choctalking on Other Realities, I’m trying to show how one thing leads to another and is connected in the memories we embody the rest of our lives. I’m also trying to show what tribalography is for American Indians, how we embody our particular tribal histories as well. I was born in Edmond, Oklahoma in a home for unwed Indian mothers. After five days my adopted Cherokee Mother came for me and we traveled together to my Cherokee grandmother’s house, yet I am wholly Choctaw. If it seems like a contradiction, it is. But that is the basis for all stories. 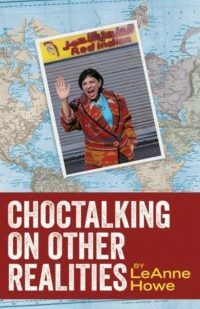 SR: You’ve also described Choctalking on Other Realities as “three parts memoir, one part tragedy, one part absurdist fiction, and one part ‘marvelous realism.’” Would you explain how you came to identify the work in that way? How do these genres intersect? LH: I am not sure that there are such things as genres when writers sit down to write. Oh, perhaps I better speak for myself,—I like how one frame or structure leads to another. So in Choctalking I’ve woven a text from all these strands called “genres.” There is poetry, prose, a screenplay, memoir, and “marvelous realism,” or stories of the marvelous that most American Indians grow up with. SR: What does your writing space look like? LH: Messy. Very messy. I have a room with a view, lots of bright colors, purple walls, Native blankets, pillows, and papers and books scattered everywhere. I have two cats that have their beds on either side of a long writing desk in my office. I type, they sleep. When I read aloud and I think it’s pretty good, they purr. Or stretch a paw in my direction. When it’s bad, they ignore me. It’s a good life. An enrolled citizen of the Choctaw Nation of Oklahoma, born and raised in Oklahoma. 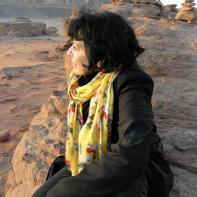 I write short fiction, poetry, screenplays, scholarship, and plays that deal with American Indian experiences. The author of two award-winning novels, a book of poems, screenwriter for two film documentaries, and a playwright.